It’s giveaway time again. I know many of my recipes require a blender, so I wanted to be able to give you an opportunity to win one. 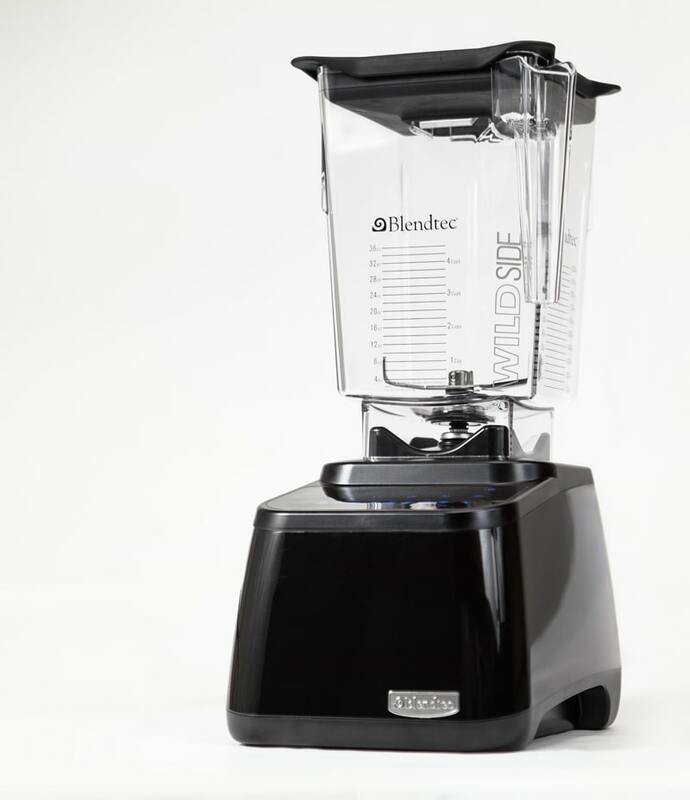 I contacted Blendtec and they gave me a Blendtec blender to review and another to give away. This blender is awesome. I especially love how wide the pitcher is. Makes for very easy cleaning. I whipped up this smoothie in no time at all. In fact, there are set modes on the blender so you can just press a button and walk away. Great for all us moms out there who are trying to keep up with the kids as we cook. 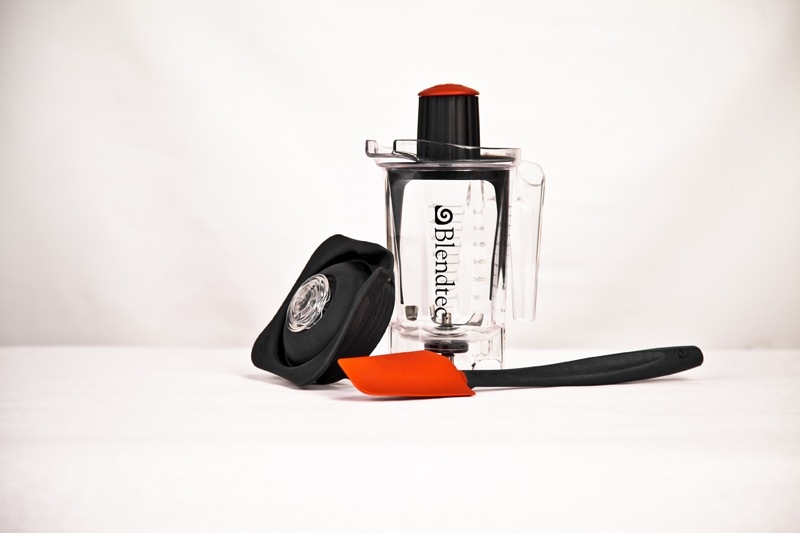 The Blendtec blender available for giveaway is their Black Designer Series + a Twister Jar. A $570 value to one lucky reader! Contest is open to US and Canada residents only. Not only have I made this smoothie with it, but I have also used it to grind oats into flour, and make soup. It handled every job beautifully. The twister jar is great because it can tackle the smaller jobs like hummus and almond butter. Throw all ingredients in the blender and blend for about 60-90 seconds. 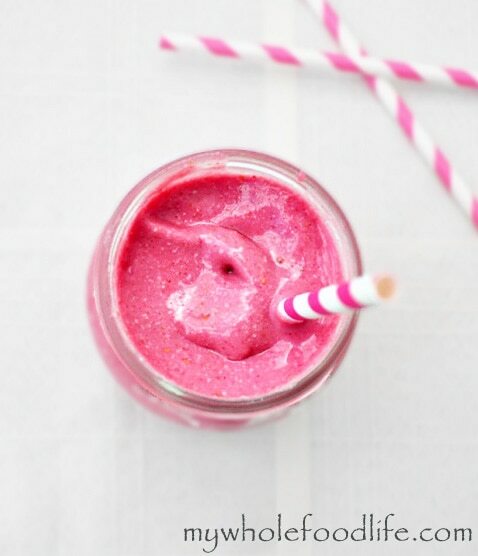 With the Blendtec, you just hit the smoothie button and it does the rest. If you plan on drinking 1 serving and saving the rest, pour the remaining smoothie into ice cube trays and freeze for quick blending on another day. Enjoy! Love all your recipes. Thanks.